I was intrigued by the IT sector as technology is constantly emerging. I learned the ropes so to speak in IT recruitment with Greythorn for 3 years which helped develop a deep understanding of clients needs to secure the best available talent on the market, in 2010 I had an exceptional opportunity to join Solas Consulting Group as a Principal Account Manager and working to my strengths to go above and beyond expectation for clients and candidates alike, whilst keeping myself knowledgeable in emerging and trending technologies especially with the presence of .Net in Ireland. In my spare time (the little I have with 2 young children ) I enjoy F1 and a good BBQ. At least 6 years’ experience of developing enterprise-class web applications using C# with team lead and design lead responsibility. 5+ years’ experience in a similar role. 6-8 years Commercial experience as a Service Delivery Manager. “ Ive found Ryan to be professional in his approach to assisting me in my job search, he has always been very helpful in offering guidance and diligent in his approach. Not only with my job search but to the particulars regarding my situation. He was considerate and responsive not just to my jobs needs but to my challenges and time constraints relocating etc. He certainly eased any anxiety I had and always had my best interests in mind. Recently I was in the process of changing jobs. Fortunately Ryan found my cv online and helped me with setting up the interviews. From the outset I could see that he understood my skill set and for which companies I would be a great match. During the whole interview process I felt that I could rely on his guidance and expertise. His professionalism is what I admire the most. Ryan knew that I had other interviews but he never pressured me to make any decision in his favour. I am glad I had his help. My name is Diego, I was born in Brazil and I have been living in Ireland for 10 months. It is a pleasure for me to refer Ryan. He has supported and helped me a lot to secure a job in Ireland. My first contact with Ryan was in January. Since then he has always been patient, friendly and helped me throughout my process. For example: > In my CV. Ryan, sent me a CV template to help showcase my skills and abilities. -> Interviews. Ryan, shared some information about the interview process and guided me. Obrigado por tudo, desejo que Deus te abençoe!!! 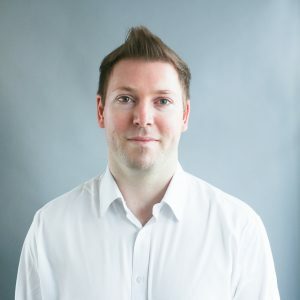 Ryan is a great professional, tech savvy, enthusiastic and a well connected recruiter-matchmaker in the IT Irish market. I worked with Ryan multiple times and every single time he was extremely professional and personable, it’s always a pleasure working with him.